Main entrance door to the front, stairs to the first floor and doors to the sitting room and dining room. 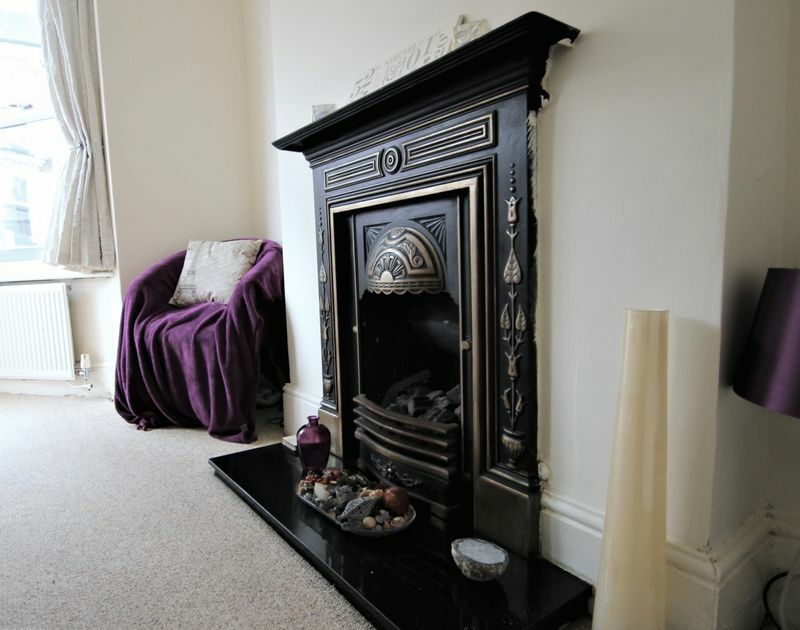 A most pleasant room with a bay window to the front and a central fireplace. 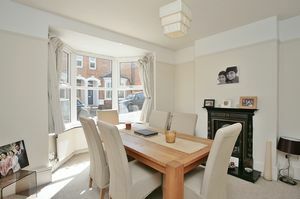 A separate sitting room with exposed floorboards, a central fireplace and a door to the kitchen. 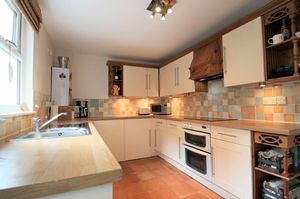 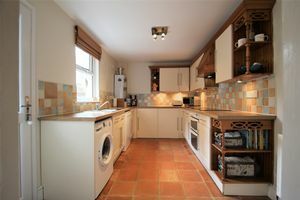 A large kitchen well fitted with shaker style base and eye level units incorporating a single drainer sink with mixer taps, plumbing for washing machine and dishwasher, built-in double oven, four ring hob and extractor, integrated fridge and freezer, terracotta floor tiling, wall mounted Gloworm gas fired combination boiler, door to deep understairs storage and further door to rear garden. 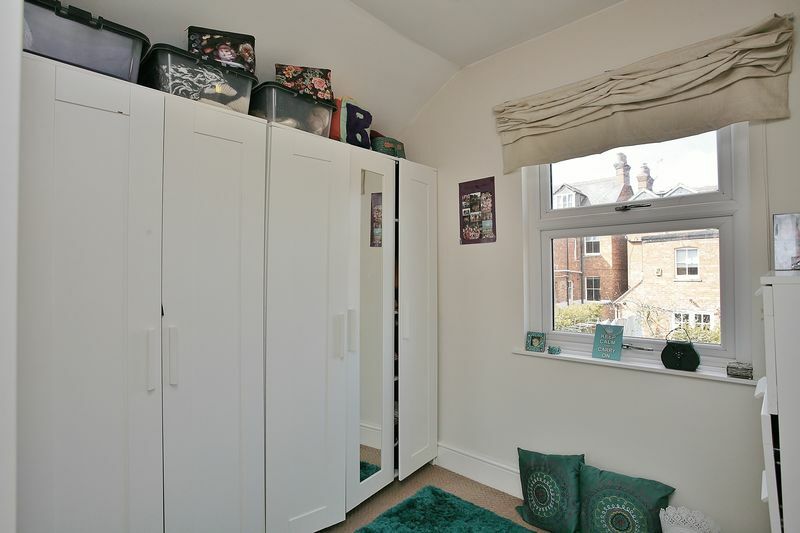 Hatch to the loft space, useful storage cupboard and doors to all first floor accommodation. 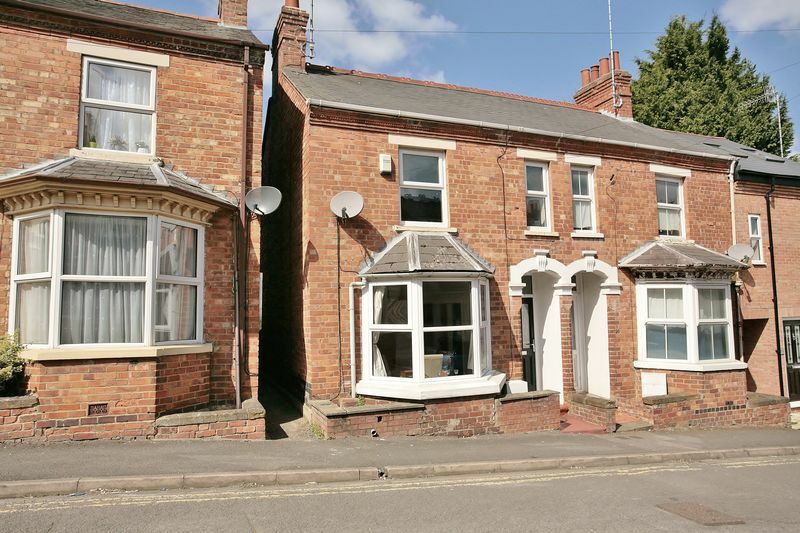 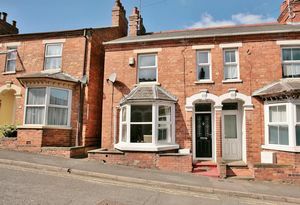 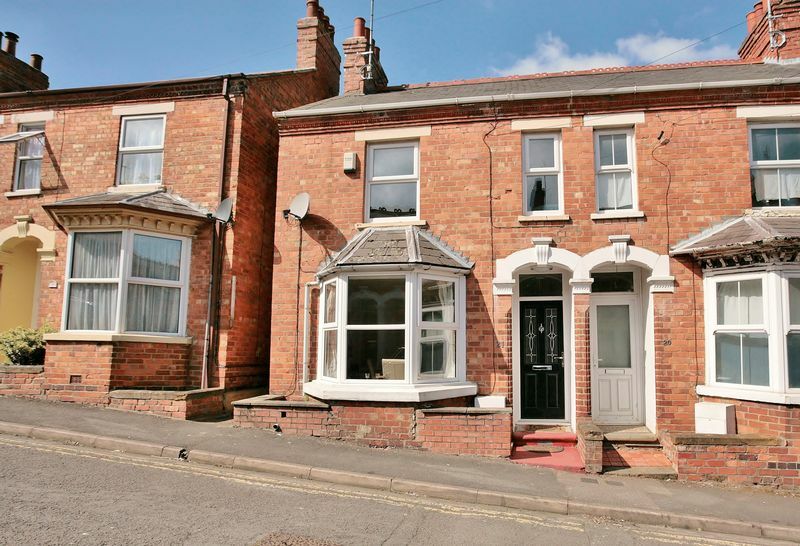 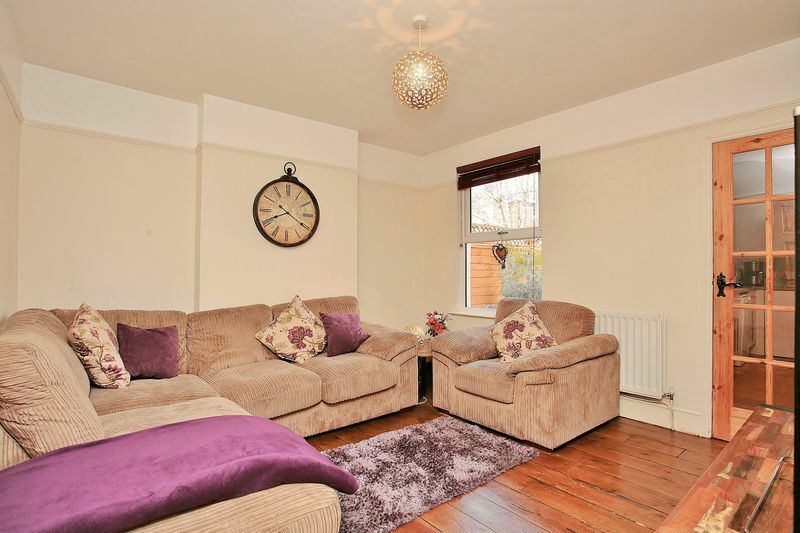 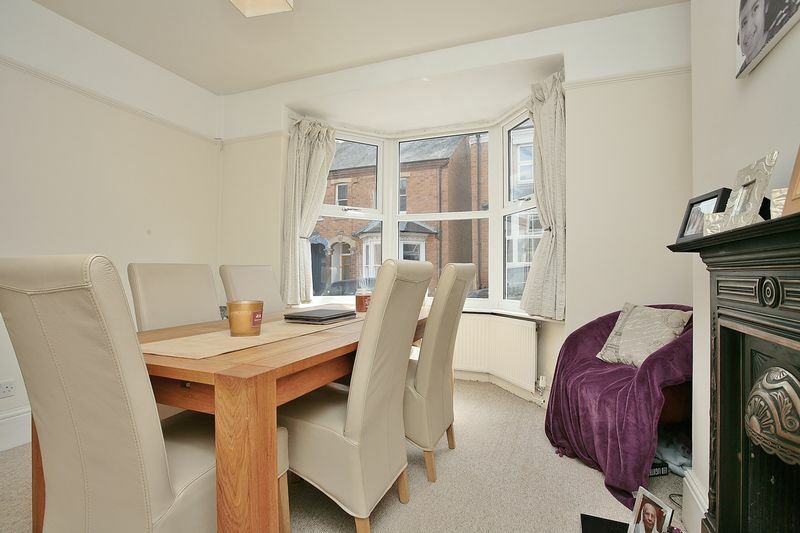 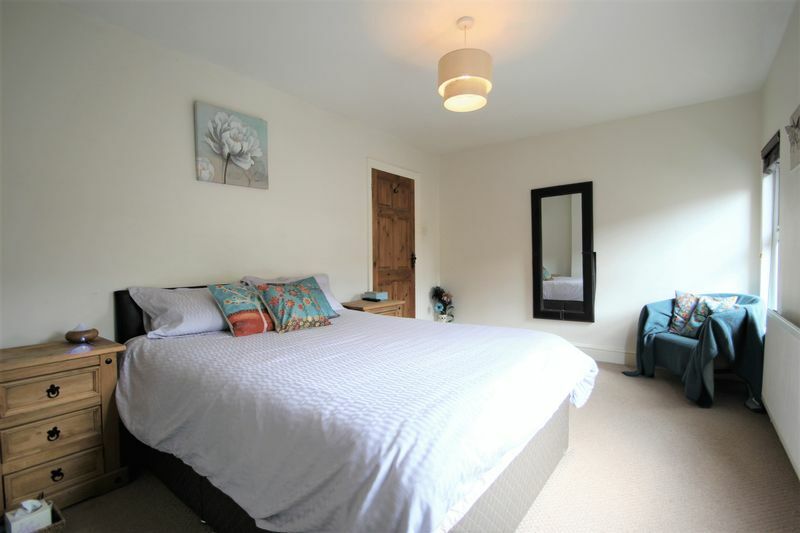 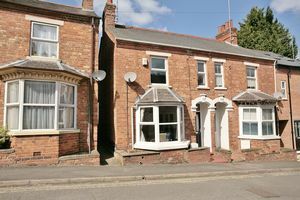 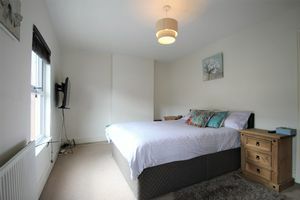 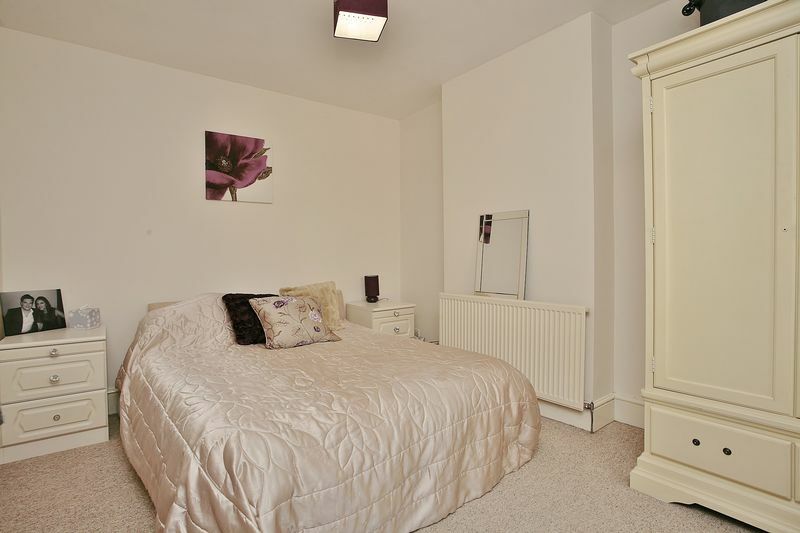 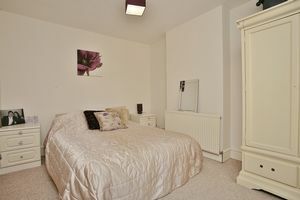 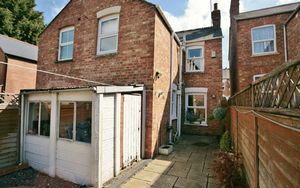 A very large double bedroom with ample space for furniture and two windows to the front. 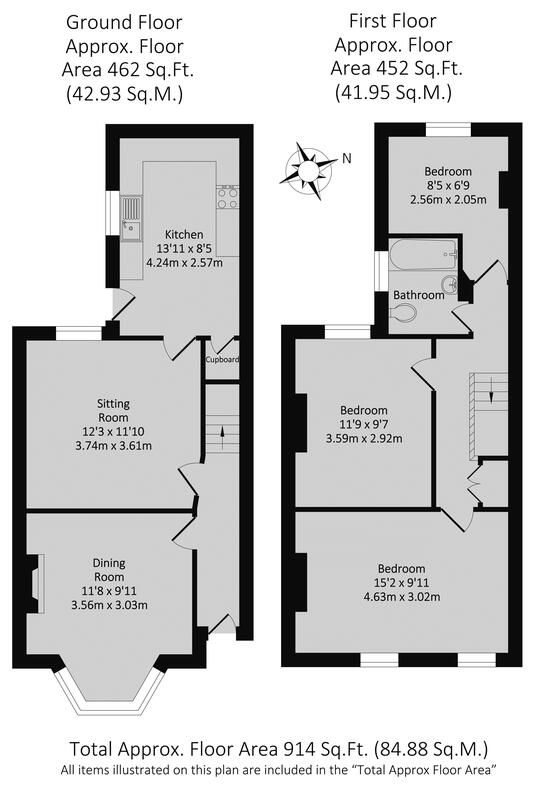 A single room with a window to the rear. Fitted with a modern white suite comprising a panelled bath with a shower over, a W.C. and a wash hand basin. 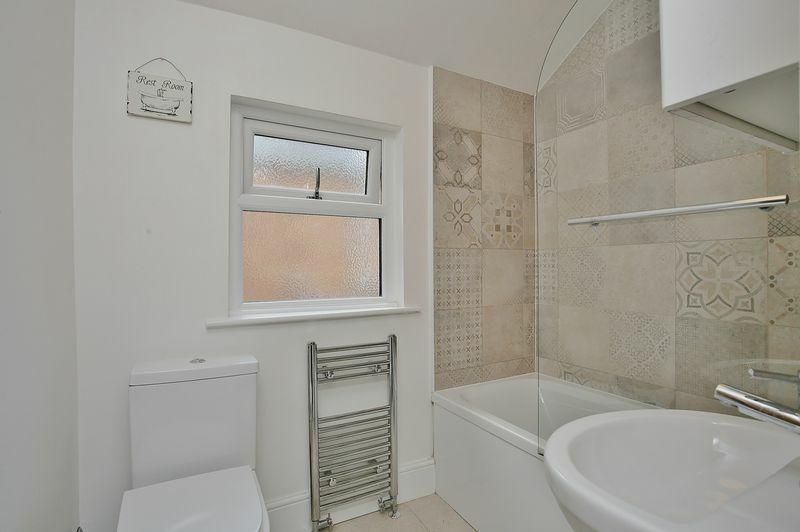 Attractive tiling to wall and floor. 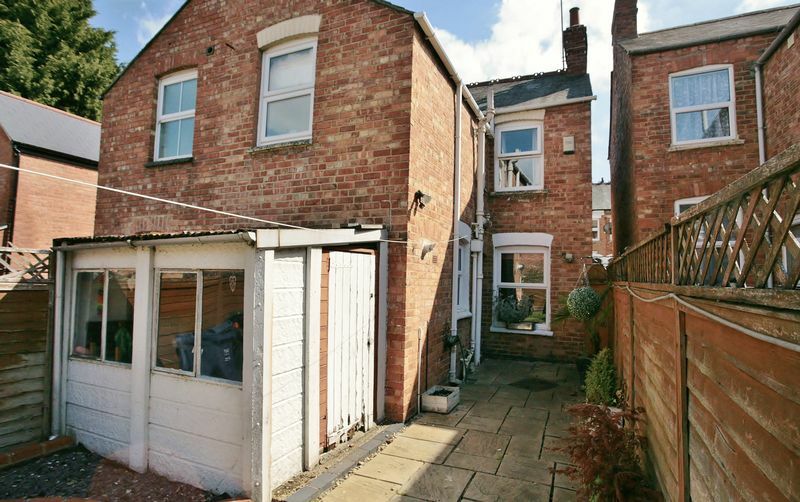 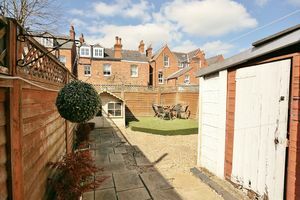 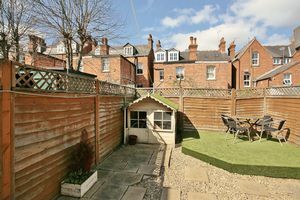 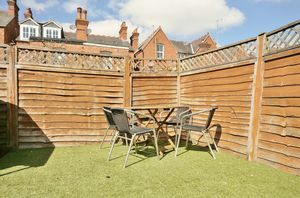 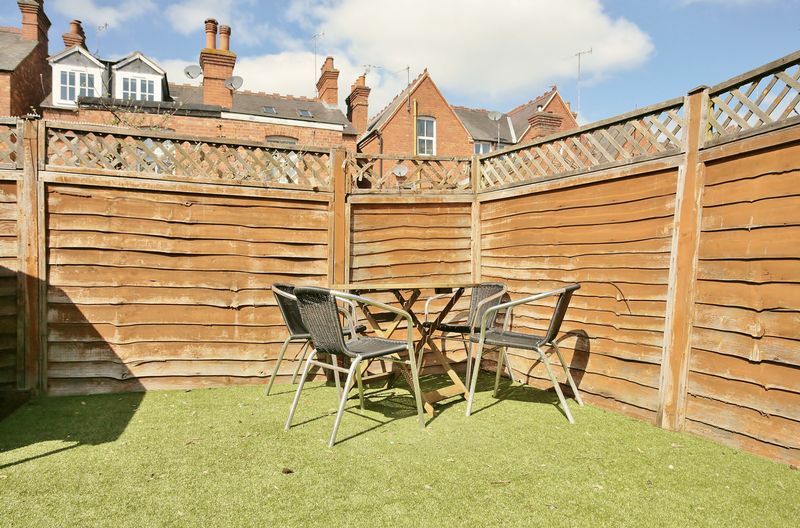 A generous sized courtyard with a large paved seating area and flower and plant borders. 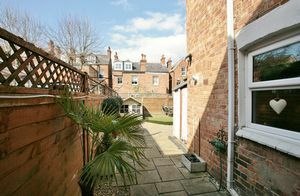 There is shared passageway to the side of the house. 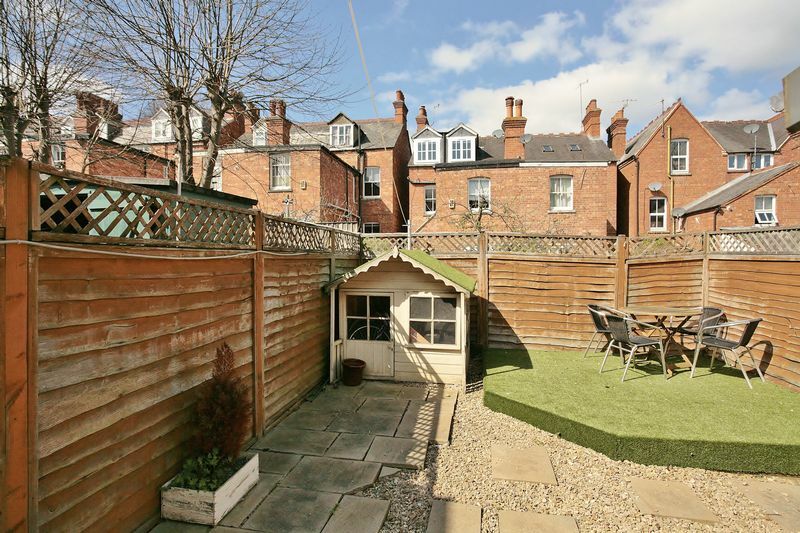 Within the garden there is a useful timber shed.